If you are looking for quartz, one of the popular search phrases – quartz countertops near me. But at the same time, it is not only important to find a provider close to you. But quality matters as well. So while searching for quartz countertops near me, check the reputation of the company. 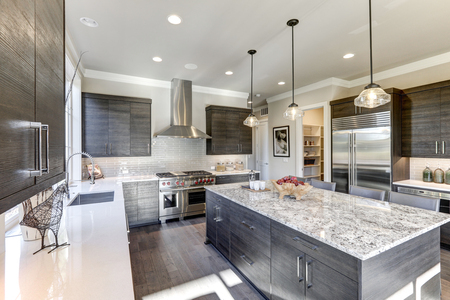 Quartz countertops have been gaining popularity. This is one of the hardest materials on earth. This material is very durable and that is why a lot of people choose it. A lot of companies offer wide variety of colors. But unlike natural materials, these slabs are produced in a factory. The main ingredient is ground quartz combined with resins and polymers. The resins help make these countertops stain resistant and nonporous. That is why quartz countertops do not have to be sealed. They are already pre-sealed. Quartz is one of the hardest materials in the world. It is very difficult to scratch, chip, or crack. Since it is such a low maintenance countertop, a lot of homeowners are replacing their existing countertops with quartz countertop. High durability and low maintenance are very attractive features for many homeowners. If you want to find a company that you can trust 100%, and not less, choose Supreme International USA. We provide high quality services from start to finish. Not only we provide great service, we also provide fast production and installation time. We take into consideration everything – price, quality, and ontime delivery! Explore our site and contact us for a free quote today!